Following this step by step recipe you will find out that making a delicious Pizza dough from scratch is much easier than you might think. 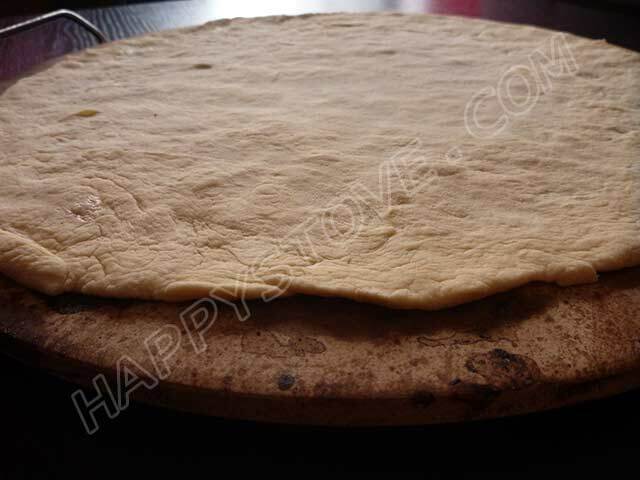 With few, simple and healthy ingredients you will be able to make your own delicious homemade pizza to use for a variety of pizza based dishes to share with family and friends. Mix the sifted bread flour, sugar and salt in a large bowl. Mix well. Add to the mixture the instant yeast, the oil and the warm water. Knead until you obtain an homogeneous dough. Adjust with flour of water to obtain a dough not too sticky or too dry. Obtain a ball from the dough and let rest for at least 30 minutes in the bowl covered with a moistened kitchen cloth. The more it raise the softer it turns out, we advice to let raise for 2-4 hours in a warm place. Your pizza dough is now ready. You may want to use a bread machine to help you in the kneading process. You may use active dry yeast or fresh yeast instead of the instant one. Use 3 times the suggested amount of instant yeast if you are using fresh yeast. Use 1.25 times the suggested amount of instant yeast if you're using active dry yeast. Follow the instructions on the package regarding re hydration. For this recipe use 1 and 1/2 oz of fresh yeast or 2/3 oz of active dry yeast. Place the rising dough in the cold oven and just turn on the oven light (but not the heat!) to create an optimal temperature for your dough to rise. This is a basic recipe for bread with sourdough starter that can be used to bake traditional sourdough bread or that can be customized by adding additional flavors with spices, herbs or even sweets. Challenging but rewarding!